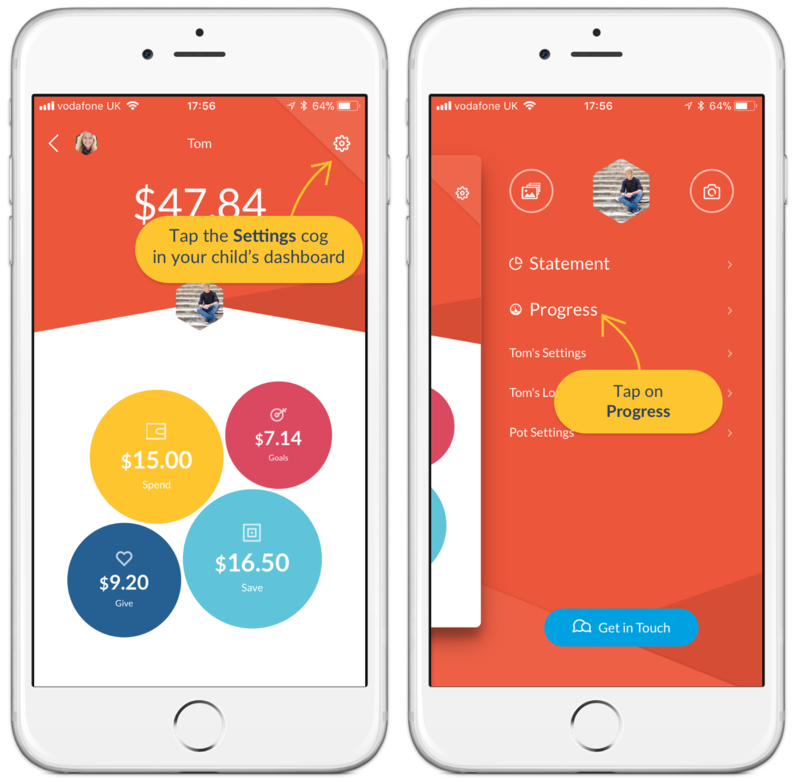 Want to catch up with how you and your child are using RoosterMoney, or want an illustrated glance at their recent progress? If you'd like to view a simplified view of your child's progression, open Settings from their dashboard and then tap on Progress as shown below. When your child is signed into their account, they can also access view Progress in the same way. For a more in-depth view, use Statement as described in this article.